MINSK - Miho Takagi became the first Japanese to win an overall speedskating World Cup championship on Sunday. On the final day of the season at the World Cup Final, Takagi remained perfect in the World Cup women’s 1,500 meters, winning her fifth race of the season and capturing enough points to clinch the overall women’s title. Ayano Sato capped a golden finish for Japan by winning the women’s mass start race. Sato, an Olympic gold medalist last month in team pursuit along with Takagi, won her second mass start of the season, to finish second in the women’s mass start standings. Olympic women’s mass start champion, Nana Takagi, who is Miho’s older sister, did not compete. 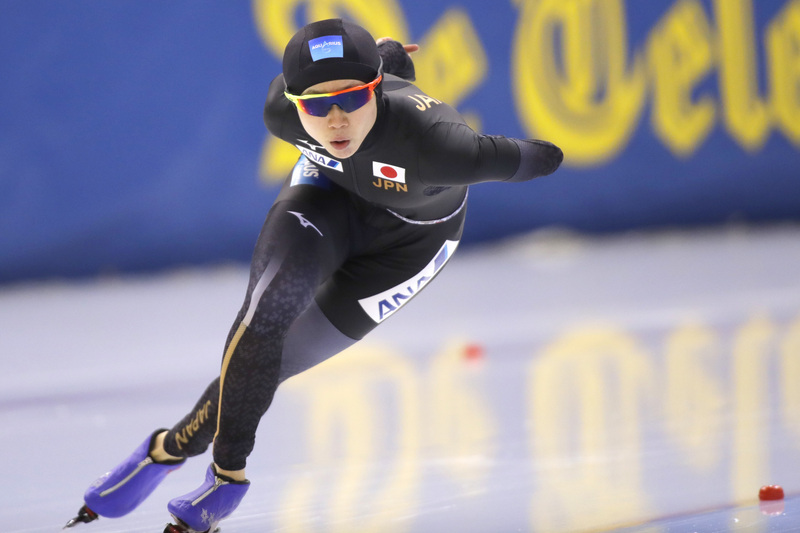 Nao Kodaira, who won all seven 500 meter events she entered this season on the World Cup circuit, skipped the last two meets after winning gold at February’s Pyeongchang Olympics and slipped to fourth in the 500-meter standings. Japan’s previous best ranking in the overall championship standings, which were introduced six seasons ago, was Takagi’s runner-up finish last season. Norwegian speedskater Havard Holmefjord Lorentzen added the men’s 500-meter title at the World Cup Final to his Olympic gold medal in the same distance. Lorentzen was fourth in the final race of the season — as the Dutch team swept the podium headed by Jan Smeekens — but that was enough to secure the 500 title. Lorentzen had already won the overall World Cup title. Vanessa Herzog of Austria won the women’s 500 title by nine points with a second-place finish behind Angelina Golikova of Russia on Sunday. Russian Denis Yuskov won the World Cup title in the men’s 1,500. Russia won the women’s team sprint World Cup title, and Norway took the men’s title. Mass start World Cup champions were Italy’s Francesca Lollobrigida and Belgium’s Bart Swings.